A day trip down to Spurn and Kilnsea during the week up in Yorkshire. This post will deal with Kilnsea first (Spurn Point to follow). Second war defences remaining in the Kilnsea area include three lozenge pillboxes, the remains of a coastal battery (9.2 inch guns I think), some massive anti-tank blocks and a defence structure of which I have no idea what it is. It does not seem to be included in the Defence of Britain database. It is basically a large square with wide embrasures (for weapons or observation or both? 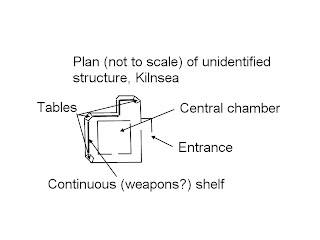 ), a continuous shelf running below the embrasures and three large tables at three of the corners (for mounting a medium machine gun?). There is a large interior chamber in the middle. The roof is interesting as it seems to be constructed in two parts separated by a gap - some 1930's design of pillboxes included air gaps in roofs, the purpose to help absorb the shock of any direct shell blast. I have attached a sketch plan (not to scale) based on memory. I have certainly seen nothing like it before! Also to be seen nearby is a cold war Royal Observer Corps Post. If you are interested in WW2 anti-invasion defences and ever get the chance, this is a site well worth a visit, but soon as it is deterioating each year due to coastal erosion. Today the actual 'Front Line' that would have resisted any invasion in 1940-42 is mostly only represented by the odd pillbox or line of concrete tank blocks remaining in situ. At Fraisthorpe you can see the concrete tank blocks arranged to prevent tanks from exiting the beach as well as restricting movement up and down the beach, boxing in tanks where they could be dealt with by the defence, an anti-tank wall and two medium machine gun posts. In one of these machine gun pillboxes, range cards have been marked above the embrasures. Two beach search light emplacements can also be seen, although both now dislodged from their original position. North of this fragment remaining at Fraisthorpe, the front line defences have disappeared due to coastal erosion but the rear line of hardend defences is still intact - lozenge pillboxes and a further 'eared' medium machine gun pillbox. Also it must be remembered that the British Coast was regarded as a potential invasion target during the First World War. There are a number of structures in this area, that seem hardly even bullet proof, that I have been puzzling over for the last few years. Well this time I met a couple of other 'concrete' enthusiasts (how many of us are actually out there??) who informed me they date from the First War. Image 7: 'GD 1941' give an indication of when these blocks were constructed! Image 8: Blocks arranged vertical to the beach to restrict movement up and down the beach and box in tanks. As promised, the first post on anti-invasion defences on the East Yorkshire Coast visited last week. First I thought I would describe the two most common types of pillbox to be found in this area. The first is a lozenge pillbox, the design unique to Northern Command and by far the most common pillbox to be found along this coast. It had 10 firing positions each with an 80 deg field of fire. 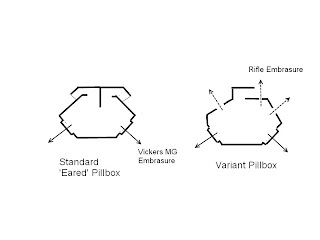 Typically there were six rifle embrasures in total in the 'long sides' (four in the side without the entrance and two in the side with the entrance) and a light MG embrasure in each of the short sides. The entrance was screened with a loopholed L shaped blast wall or porch. However this arrangement could be mixed, eg all 10 firing positions being rifle embrasures or lmg embrasures included in the 'long side'. The second type is known as the 'eared' pillbox, due to the arrangement of the blast wall resembling an ear, which screened two entrances. It would have housed two Vickers medium machine guns. This design is again unique to Northern Command and is only found between (just south of) Bridlington and Scarborourgh. Below each embrasure there is a recess on the interior, which forms a buttress on the exterior. I have yet to find a definitive explanation for this but the most likely explanation is that the recess was to accommodate the tripod of the Vickers machine gun. There are variants of this design in the Scarborough area including one at Cayton Bay which includes three additional rifle embrasures and a single blast proch entrance instead of the twin 'eared' entrance. Image 1: Short sides of the lozenge pillbox. Image 2: Long side of lozenge pillbox. Image 3: Interior of lozenge pillbox. 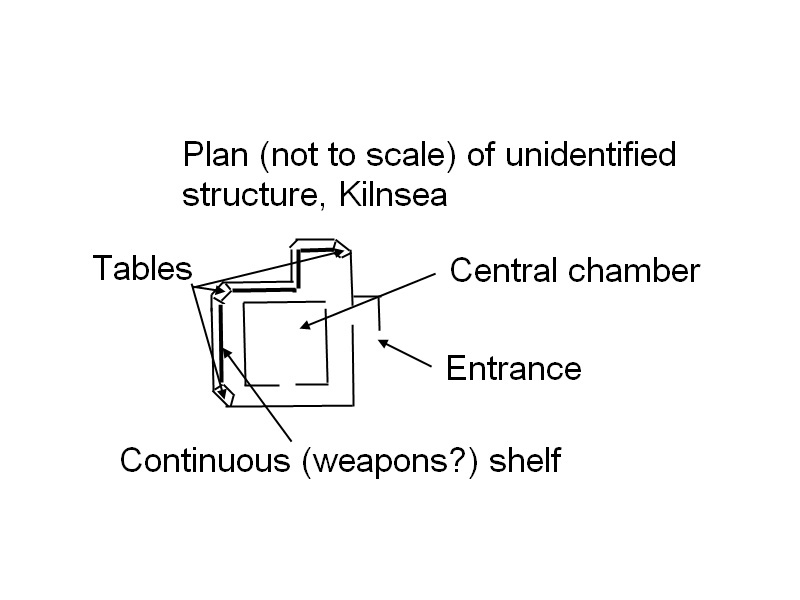 Image 4: Plan of lozenge pillbox. Image 5: Artists sketch of lozenge pillbox as part of the defence of a road block. Image 6 and 7: Standard 'eared' pillbox. Image 8: Plan of 'eared' pillbox and variant (NOT TO SCALE). Image 9: Interior of 'eared' pillbox. A week in East Yorkshire visiting family last week - so had a quick look at a few pillboxes on the Eastern Command Line in west Suffolk on the way up. These included a shell proof infantry pillbox - looks like a large type 22 but is probably another design from CRE, Colchester possibly CRE1113 (M Osborne). 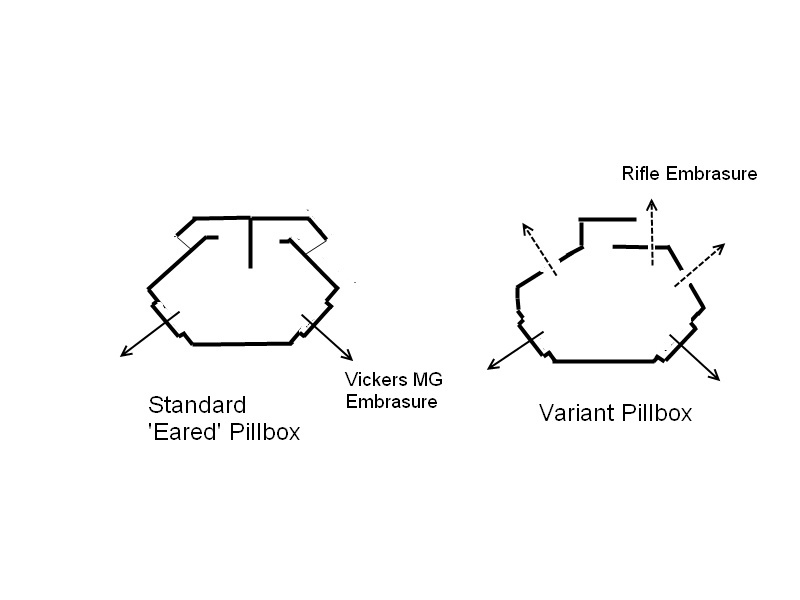 Embrasures are standard bren gun types and it has a low entrance, protected by a separate blast wall. This particular example could be found at Lackford. At Icklingam, defending a bridge across the river Lark, can be found a type 28a and another CRE1113 type infantry pillbox. The Type 28a has had the embrasure narrowed indicating it has been modified for the 6 pounder anti-tank gun instead of the 2 pounder. Continuing north, just into the Norfolk border, stopped off at Three Holes Bridge to look at another type 28a. Over the next few posts, the blog will be temp. renamed WW2 Defences - E Yorkshire as I post on sites visited up there!! Image 11: View of bridge from embrasure, the slots in the floor for positioning the carriage of the two pounder anti-tank gun can be clearly seen. Image 12: Bren embrasure in the infantry chamber, type 28a.